Custom made transoms for rafts, catarafts, and other types of boats. We make transoms based on your needs, motor size, & boat set up. Most transom builds require a physical measuring of the boat. Our transoms are designed and rated for motoring on flatwater, not rapids. We recommend that you take your motor off your transom when running whitewater. Simple “C” Transom - This style of transom can be rigged in on the rear tube of your raft and are for smaller, 10 HP or less, motors. We’ll need to know the diameter of your rear tube & locations of valves & d-rings. Pricing is dependent on the final design & starts at $450. 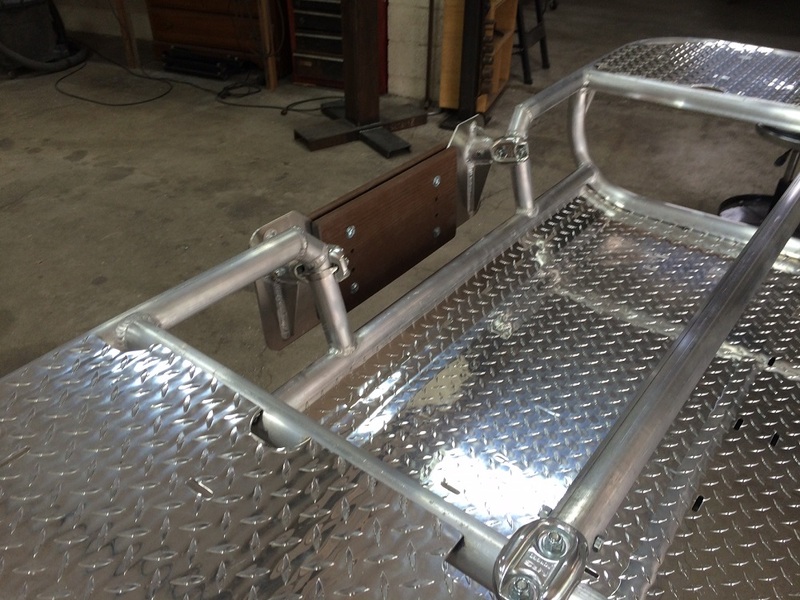 Ladder Transom - A ladder style transom extends to attach to the rear bar of the frame. The connecting bars can have a diamond plate over some of the area, or can be made to a specific width, such as that of a rocket box. The motor can be rigged on the bars when running rapids. We can also make telescoping ladder transoms, that can be used with multiple boats. Pricing is dependent on the final design & starts at $450. Deck Transom - A rear deck & hatch with a transom can be a good working platform. 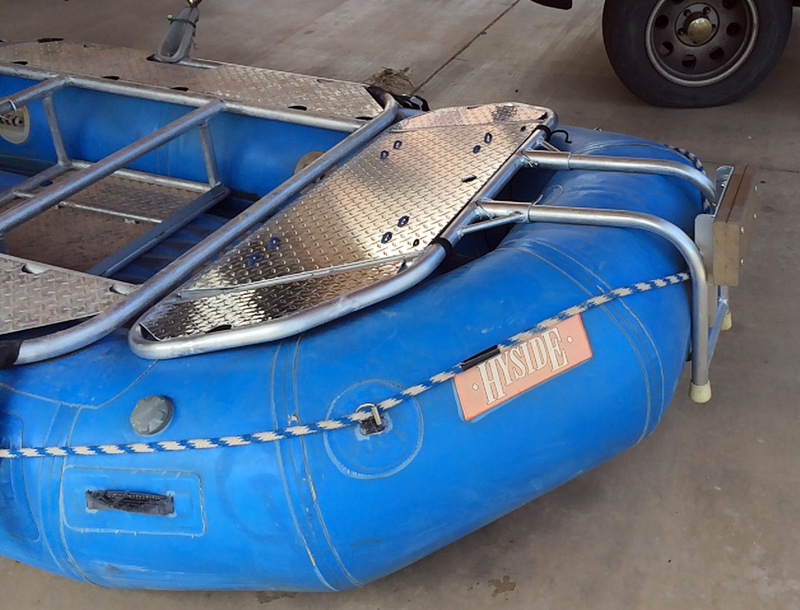 Motor related items can be stored in the hatch, and the motor can be lashed to the deck when running rapids. Pricing is dependent on the final design & starts at $1000. Basket Transom - A basket transom, rated for motors up to 15HP, has a fixed diamond plate floor made to fit the rear area of a raft. This creates a platform for the motor operator & helps protect the raft from all the hard-cornered items associated with running a motor. This style of transom also disperses the torque that a motor puts into the rocker of a boat. This kind of build requires the boat to be in our shop. Pricing is dependent on the final design & starts at $1200. Please contact us if you would like to talk about getting a new transom for your boat.